Kentucky Woman Pulls a Gun When Patrick Asked About Her 1970 SS454 LS6 Chevelle!!! Take a look at this unusual situation, Kentucky Woman Pulls a Gun When Patrick Asked About Her 1970 SS454 LS6 Chevelle!!! Every job brings its own hardships and challenges, some more than others but they all have theirs, and if we were asked about Patrick Nichols’s job we would have said that his is one amazing job, and would not think of them immediately. Because what’s there not to like right? He goes around the country checking out great cars which he knows nearly everything about and meets the people that own them for a cup of coffee to hear their story and the story the featured car. This time however things turned much different when he came around to check out this gorgeous 1970 SS454 LS6 Chevelle and instead of him being offered a cup of coffee or a glass of lemonade, he got offered the wrong end of a barrel, because the lady that owns the car had nothing to do with him and pulled a gun on him. He still made a video of the car, but why don’t we let him tell you the story that he has, check it out. 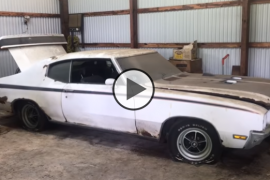 Incredible barn find, 1970 Buick GSX Stage 1 4-speed found Parked Since 1973 in New Jersey!! 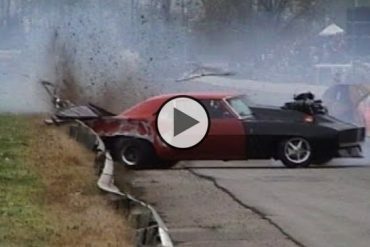 Big Chief’s The Crow VS Chuck’s Deathtrap Rematch Is One Hell of a Race! 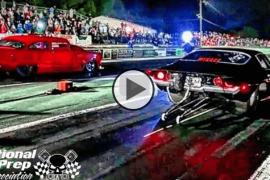 Street Outlaws The 55 vs Menace Nitrous Camaro at the Ozark no prep meltdown! 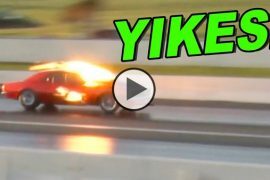 Previous articleReaper From OKC Street Outlaws Testing the New Procharged Yenko Camaro!!! Next articleBarn Finds – 56 Classic Mustangs Discovered in Woods in Louisiana!! INSANE Camaro on Camaro VIOLENCE!